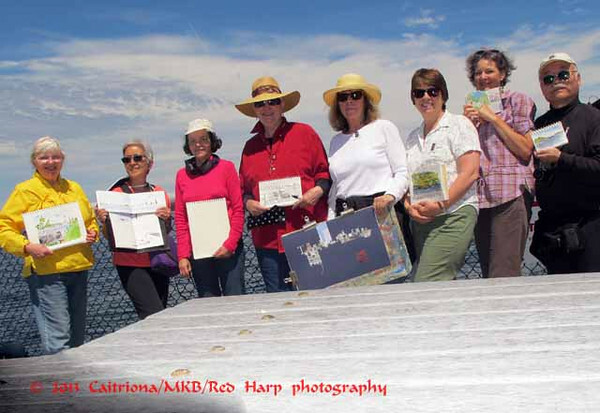 The Friday Sketchers from Urban Sketchers Seattle met at Jack Block park. I sketched a view somewhat similar to that which I did last year when we had a sketch outing here. As usual, we shared our sketches and posed with them. Hey! Lady on the end in yellow! I know you!!! Look at that. 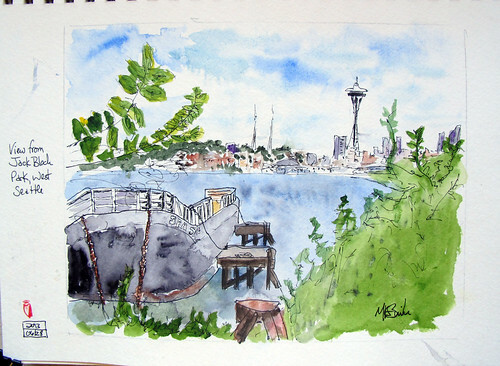 I know a Seattle Sketcher personally. I have arrived! !